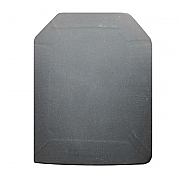 Ballistic Body Armour Plates helps to increase the overall protection levels of your body armour, these additional body armour plates are lightweight and yet pack a real punch in terms of stopping power. Various sizes and protection levels are available. The AK47 Stopper Plate is designed to meet both NIJ III and NIJ IV+. It does not need to be worn with NIJ IIIA Body Armour and is classed as a stand alone plate that can be warn with any plate carrier system. Intelligent Armour Ballistic Clipboard is manufactured to NIJ IIIA and is ideal for undercover operatives, close protection or gate guards. 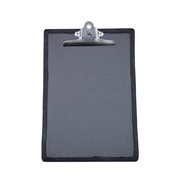 Developed by Intelligent Armour for a UK Government department, these Ballistic Clipboard are we think easily the best on the market. The Intelligent Armour Lightweight NIJ IV Ballistic Plate is designed to meet both NIJ III and NIJ IV (plus the ammunition as below) when used in conjunction with NIJ IIIA Body Armour.